Instant Pots are the new craze and even though it took me some time to jump on board, now that I have I am in total love! I honestly took my time because we live a low carb/keto lifestyle and I didn’t think there would be much one could make in an instant pot that we could eat. Well I was so wrong! No matter your diet preference, and instant pot is a must have! I finally decided on what instant pot it was I wanted to give a try and grabbed the Ninja Foodi one. I did a lot of research and I think because of my love for all the Ninja appliances that is what finally made me really take a look at that one. I love that it does more than just pressure cook. It pressure cooks, bakes/broils, steams, air fry, sear/saute, slow cook, and broil. In the short 2 weeks I have had this pot, I have used it almost daily. We have done chicken, chili, beef, pork, veggies, casseroles, and more in it. I love it! You can pretty much cook anything your little heart desires in an instant pot. But, because we are all about low carb/keto here, I am sharing with you a great list from some great blogger friends, of amazing low carb/keto recipes. These are great choices for your dinner table any night of the week. There is a nice selection here and basically a little something for anyone. Check them all out, pin them, or print the recipes out. I know these bloggers will appreciate any feedback on their recipes as well. 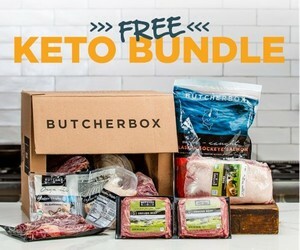 If you haven’t heard of keto, or maybe you have but just have lots of questions you can always check out my Keto posts. I have many, that will walk you through all the in’s and out’s of living a keto or low carb lifestyle. I will be sharing many round ups, using an instant pot so make sure you subscribe to our RSS feed or newsletter. If you don’t have an Instant Pot, check out the great selection on Amazon.